The William Andrews Clark Memorial Library will close to the public in April 2015 and re-open to the public in spring 2016. During the closure the Clark Library will undergo a seismic retrofit; construction will include a new entrance pavilion and increased book storage on the basement level. We regret the inconvenience to our library users. 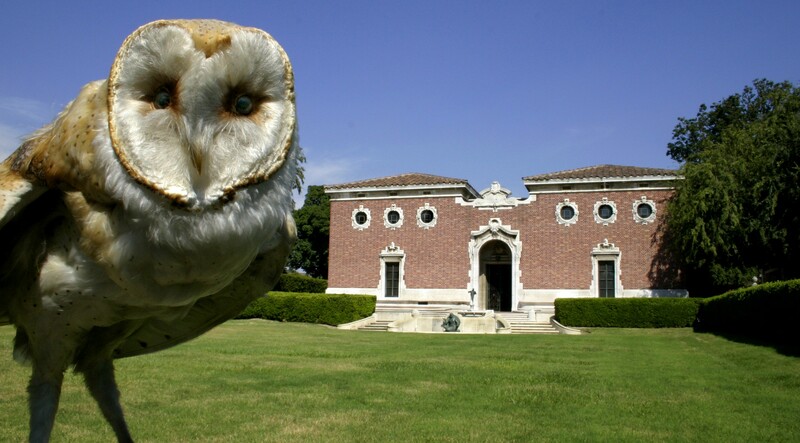 All lectures, symposia, and conferences currently held at the Clark will be offered on UCLA’s main campus from April 1, 2015 through early spring 2016. All Chamber Music at the Clark concerts for the 2014–15 season will take place in the Clark’s drawing room. The 2015–16 chamber music concerts will take place on UCLA’s main campus. Updates on construction and programming will appear periodically on the Clark Library and Center for 17th- & 18th-Century Studies websites. The Clark is working with students from UCLA’s information studies graduate program to optimize our website and online exhibits. As a part of their work, they have written the below survey and we hope that you have time to take it and to help them with their strategic planning for the Clark! In the context of our Information Architecture class this quarter, our team is in the process of developing a strategy for the implementation of online exhibits for the William Andrews Clark Memorial Library, and we are seeking user and non-user feedback – in other words, feedback from you, dear reader – in order to most effectively broaden and reach the targeted audiences of the exhibits. We have created an online survey, which we would be most grateful if you would complete. Please click HERE to access the survey in your browser. Thank you in advance for your assistance – we truly appreciate it! The Clark library recently acquired the More House Archive, a large collection of Victorian manuscripts, scrapbooks, and drawings of a family with distant connections to Oscar Wilde – the Hope-Nicholson family of More House located at 34 Tite Street, Chelsea. Tite Street was a hub of artistic and literary activity in the 1890s, and its residents included not only Laura Hope (the central figure in the More House archive), but Oscar Wilde himself, as well as a number of well-known painters of the day, like James McNeill Whistler, and Pre-Raphaelites such as Dante Gabriel Rossetti and Edward Coley Burne-Jones. The More House archive is large – over 70 boxes, many of them containing handwritten letters to or from Laura Hope. As I have been processing the collection, a number of fascinating love stories have emerged – the most central of which is between Laura Hope (nee Troubridge) and her husband of 16 years, Adrian Hope. More House was the name of their first home together on Tite Street. There are hundreds of letters between the two of them (sometimes several letters per day! ), including their so-called “letters of engagement,” written between 1884 and 1888 and also published in the book Letters of Engagement 1884-1888: The Love Letters of Adrian Hope and Laura Troubridge. The letters are sweet – full of terms of endearment, and often including tokens of affection like pressed flowers, newspaper clippings, or drawings. The couple was married on August 2, 1888 (“such a lovely bright day of sunshine,” writes Laura) and spent three weeks honeymooning aboard a houseboat on the River Thames called the Crocodile. They reportedly enjoyed a very happy marriage until Adrian’s death from appendicitis in 1904, and had two children – Jacqueline and Esme (who, sadly, died as a child). Laura and Adrian eventually became the guardians of Oscar Wilde’s two children with Constance Lloyd after his imprisonment for “gross indecency” in 1895. They were also distantly related to another scandalous figure of the day – Una Vincenzo Troubridge (nee Taylor) who became infamous for her relationship with Radclyffe Hall, author of The Well of Loneliness. The More House archive contains a number of letters from Una to Laura, as well as letters from Una to Laura’s daughter Jacqueline, who was just two years younger. Una had previously been married to Laura’s brother Ernest (an admiral in the Royal Navy during World War I) but left him to pursue a relationship with Hall. The two women lived together happily for nearly 30 years, and cut a rather glamorous figure, as evidenced by this photo of them in matching outfits at the Ladies Kennel Club Dog Show in 1920.